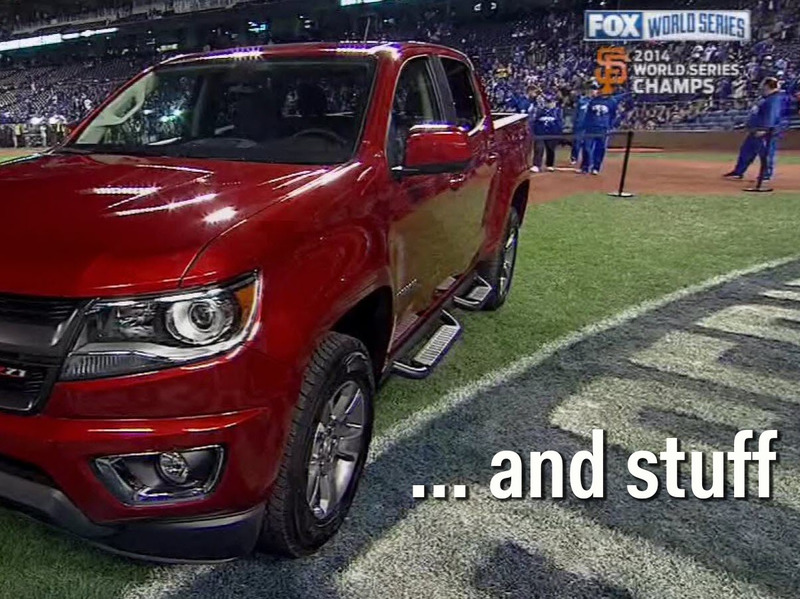 Fox SportsChevy added ‘and stuff’ to the voiceover at the end of its truck commercial. 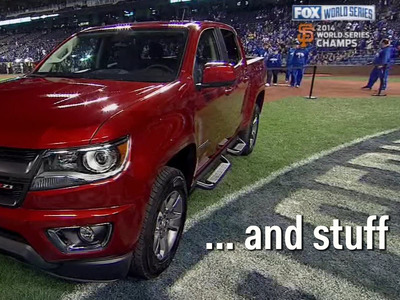 Chevrolet got some unexpected attention this week when its presentation of a Chevrolet Colorado to World Series MVP Madison Bumgarner turned into an awkward flubbing of lines. Instead of going into crisis mode or burying their heads in the sand, Chevy pulled off a genius move. They embraced the moment and ran with it. They have even embraced the moment with print ads. It didn’t take long for “technology and stuff” to become a meme. Here is Chevy Guy at the World Series.